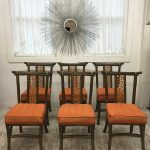 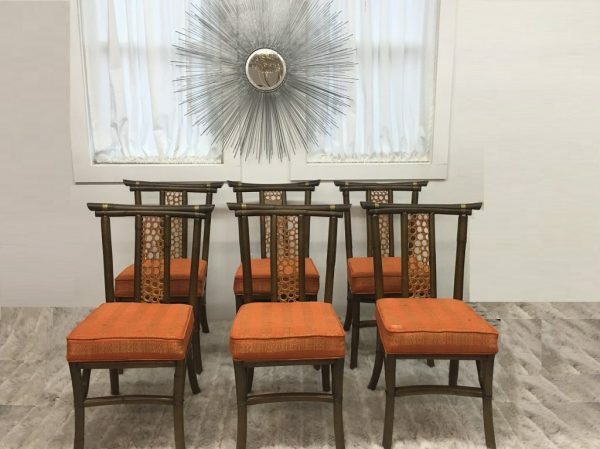 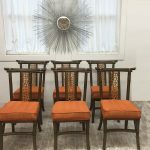 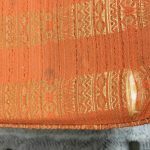 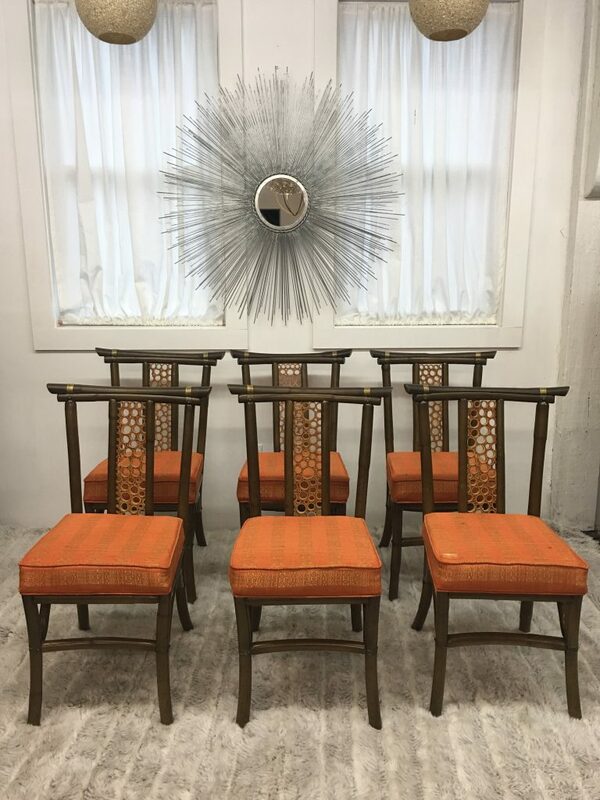 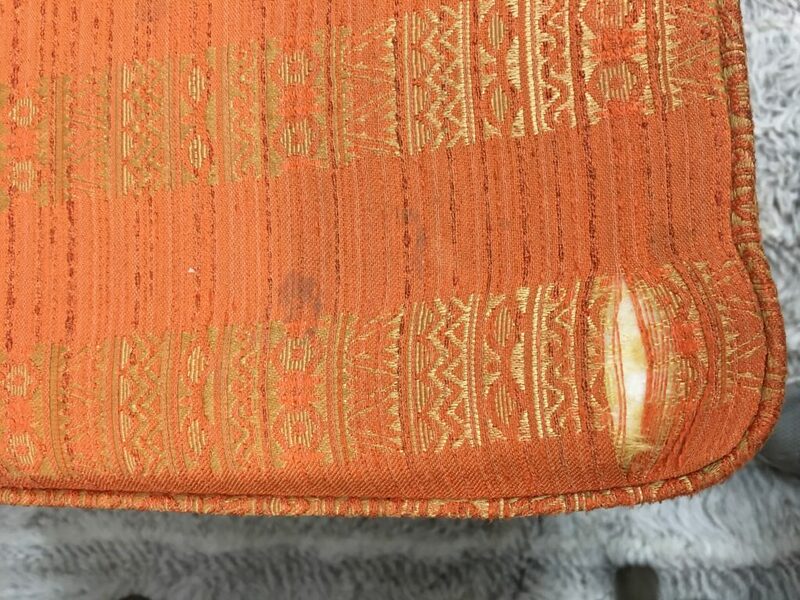 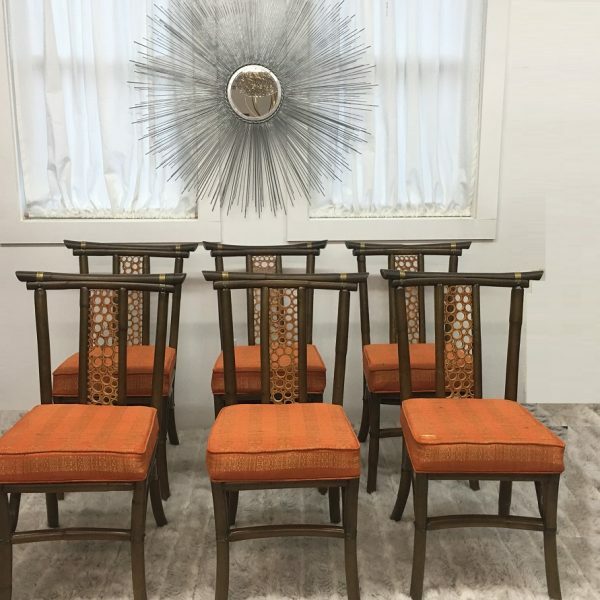 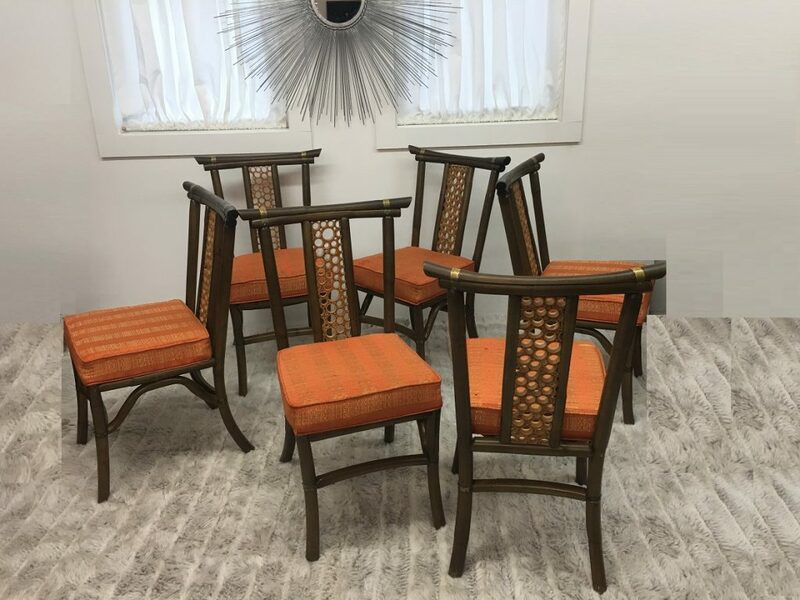 These beautiful Mid Century Modern dining chairs by Herbert Ritts come to you with a popping orange color. 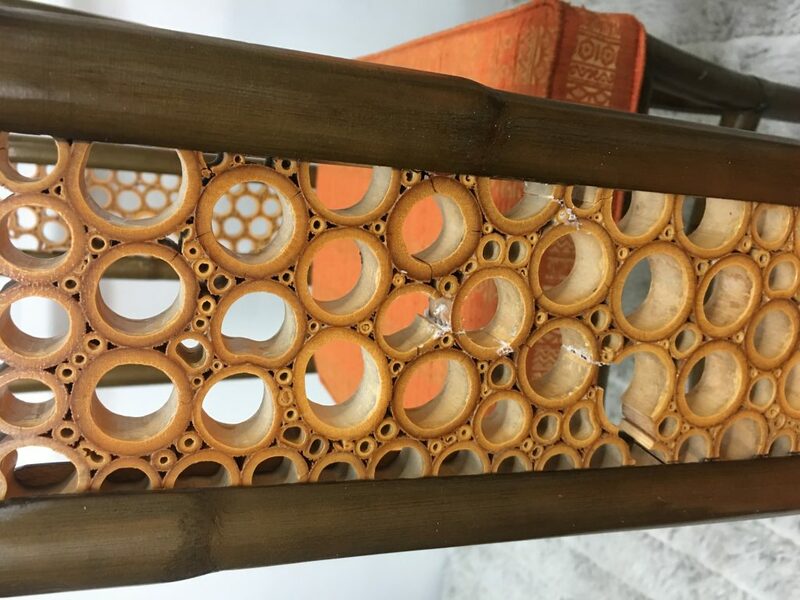 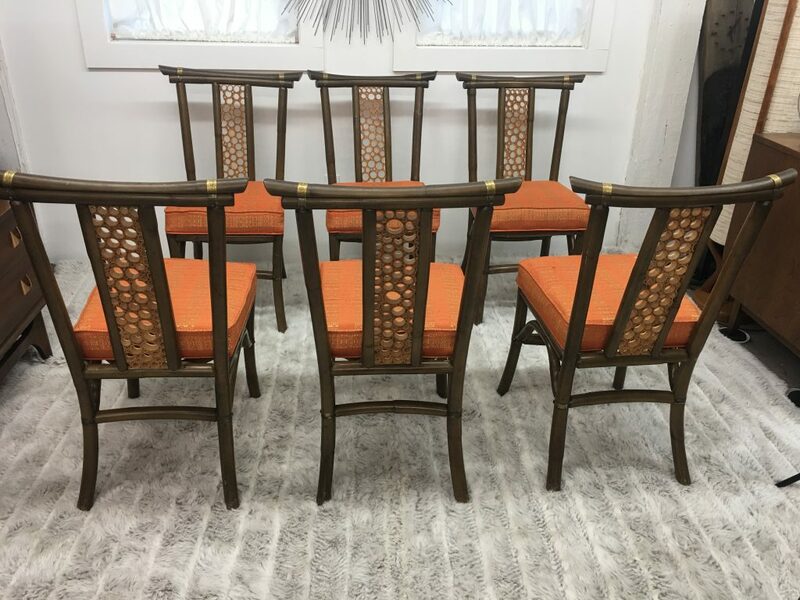 The faux bamboo wood and the detail of bamboo on the backs make it so rare and so different. 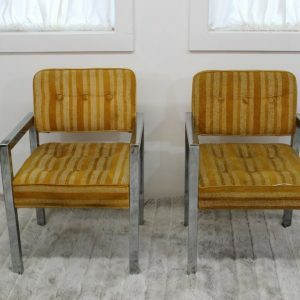 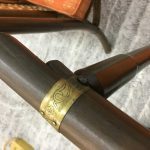 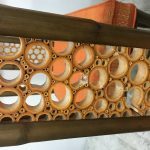 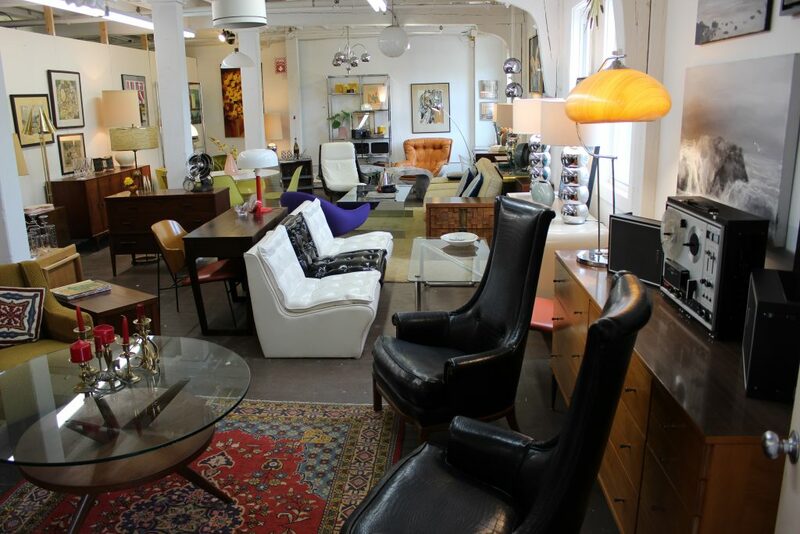 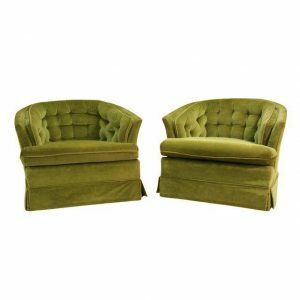 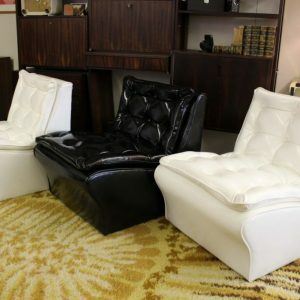 If you like different, rare and unique these chairs are for you. 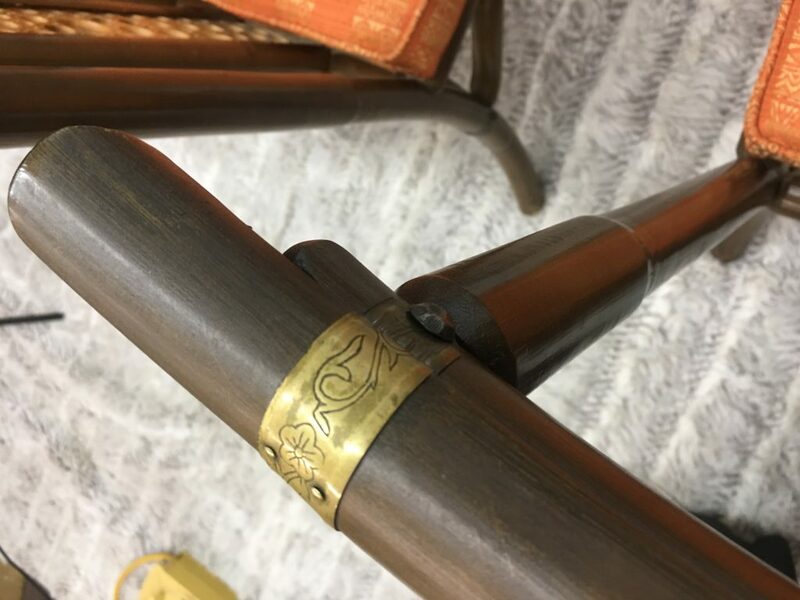 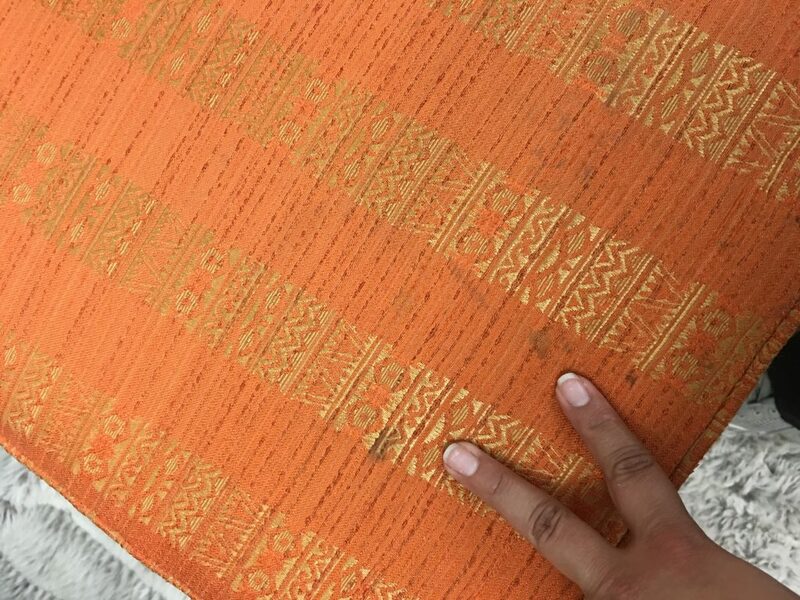 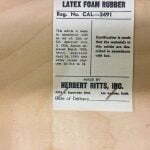 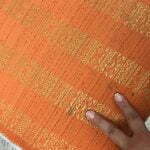 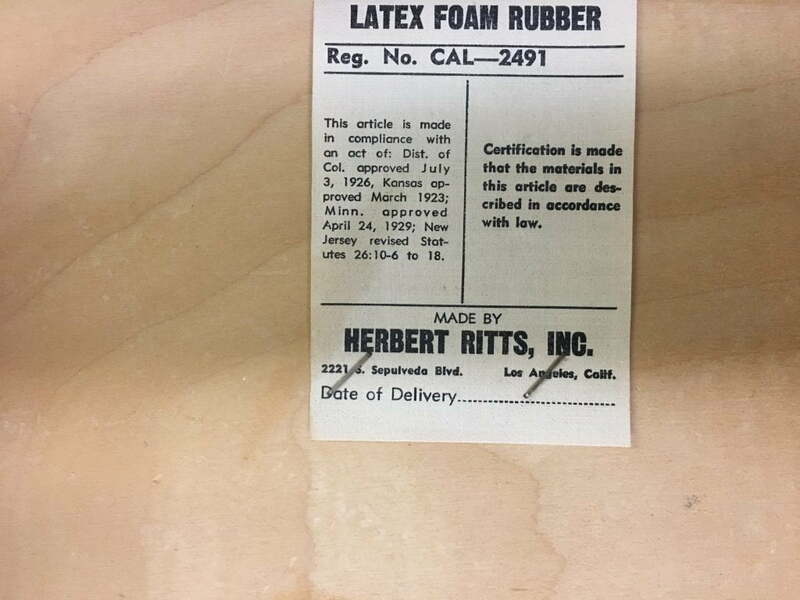 Some of the chairs still have the tags that read made by Herbert Ritts Inc. 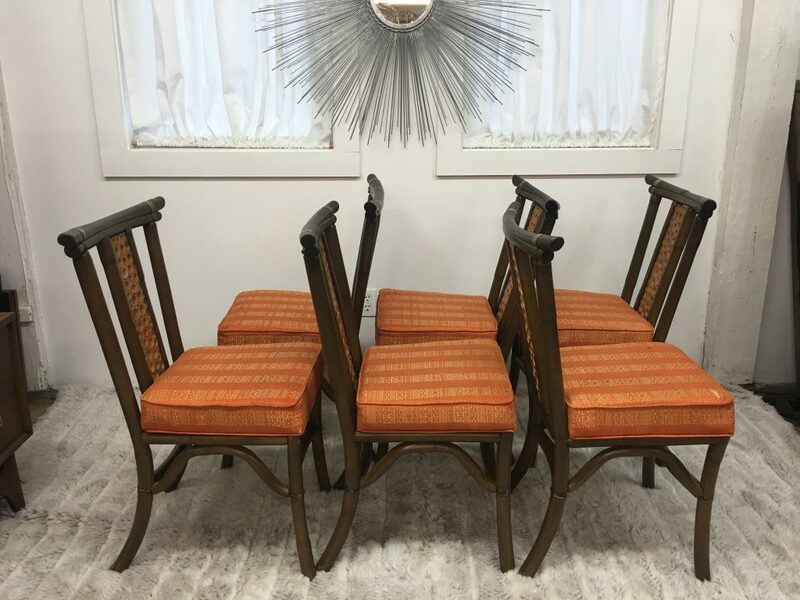 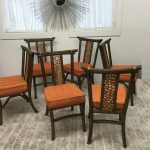 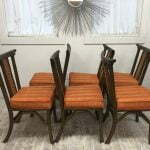 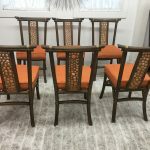 These dining chairs are 23″ front to back, 19″ high at the seats, 20 1/2″ wide and 36″ from the top of the backrest to the floor. 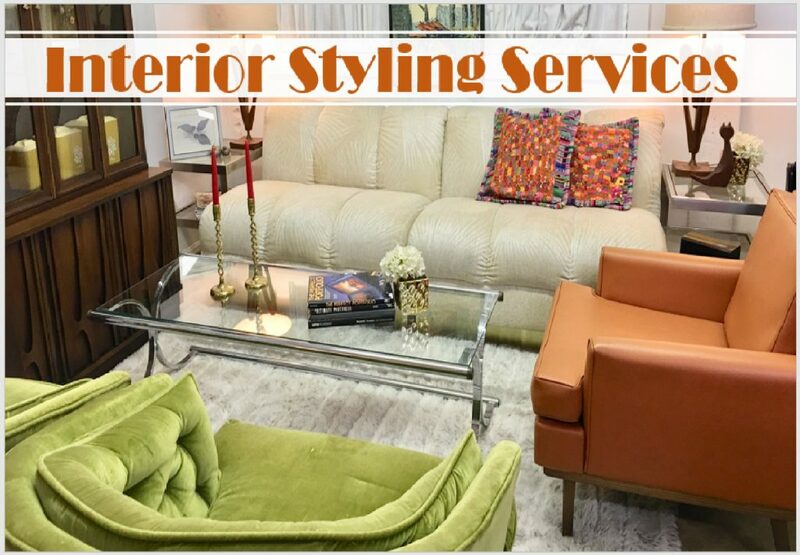 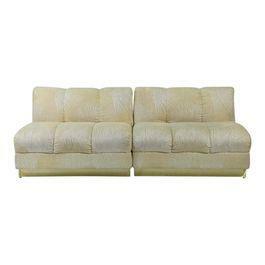 Need help styling your place?